Deuteronomy 18,21-22 - You say: "How do we know that it does not speak a word of the LORD?" Well, if the prophet says the LORD on behalf of something that happens, then the Lord spoke this word. The Other Side of the prophet spoken presumptuously. Fear him. This test will get rid of the vast majority of popular prophetic predictions. Although to forget all the false prophets - even quacks can sometimes predict the future. Modern computer analysis of them makes it even more important and therefore more text. Deuteronomy 13, 1-3 - carefully observe everything I command you - nothing to add nor from no proceed. In the midst of it could find a prophet or interpreter of dreams and offer you some sign or wonder, saying: "Let us follow strange gods" (which you did not know) and serve them, "Then, even if it became a sign or wonder, about which I said, listen to his speech. That the LORD your God, trying to see if you love the Lord your God with all your heart and soul. LORD thy God, follow, his read, keep His commandments, listen to his, and serve him and to him he moves. Remember: In a large space battle, there are two sides! A man can not be surprised if the enemy tries to predict the future, and then cause to fulfill his prediction. It makes everything so that deceived many people. Isaiah 8, 19-20 - Sure you will say: "Ask the psychics and spiritualists, who whisper and chirp." It does not ask people their God? This is the dead to life? The law and the testimony! However, if you want, then let him say a word, in which there is no light. A very important test. If we evaluate a prophet, ask yourself: Talk by law and the testimony of the Bible? If not - no matter how good his prediction may seem - is a false prophet! Take the example of the Acts of the 17th chapter. Here, the book describes a visit of the Apostle Paul in the Macedonian town take. As a prophet and as the Apostle Paul received a message from God and gave it to the people in this city. Now, notice how Berojit received a message from God, preached by Paul. Acts 17.11 - received the word with great eagerness and examined the Scriptures every day, whether it's all true. The Apostle Paul commends the Beroit that sought in the Old Testament, to be sure if what Paul says is true. Every true prophet of God has nothing to hide. Any false prophet you will eventually try to separate from your reliance on the Bible as the final authority in your life. We will try to bring their own interpretations or statements. The Bible must remain unshakable foundation of our spiritual truths and our learning! 1 John 4,1-3 - Beloved, believe not everything is spiritual, but differentiate whether the ghosts of God. Came into the world because many false prophets. According to discover the Spirit of God: Every spirit that confesses Jesus Christ is come in the flesh is of God. No spirit that Jesus does not confess, but not from God, but it is the spirit of the Antichrist, which you have heard that has come . He is now in the world! A true prophet of our time will be entirely focused on Christ. He'll exalt, celebrate and honor the Lord Jesus Christ in all his work as the only Saviour and the only way to God. Jesus Christ gives the test. And so: you shall know them by their fruits. Matthew 7, 15-2 - Beware of false prophets, who come to you in sheep's clothing, but inwardly are ravenous wolves. You will know them by their fruits. Harvesting the grapes of thorns, perhaps, and figs from thistles? Even so every good tree bears good fruit and a bad tree bears bad fruit. A good tree can not bring forth evil fruit, as well as a bad tree can not bear good fruit. Every tree that does not bear good fruit is cut down and thrown into the fire. And so: you shall know them by their fruits. What is the lifestyle of those who claim to be a prophet? The very question of removing such a multitude of TV stars that are hung with jewels and dressed in beautiful clothes that are contrary to the life and teachings of Jesus of Nazareth! "By their fruits ye shall know them." They are more affected than the fruit of the Holy Spirit gifts of the Spirit? Always makes me suspect a man who tries to prove his calling by God to show some kind of supernatural expression! The most natural proof of all is the fact that the Spirit of Jesus Christ is reflected in the life of that person. Galatians 5.22 - Fruit of the Spirit is love, joy, peace, patience, kindness, goodness, faithfulness, gentleness and restraint. Four simple, but the Bible reliable tests that can be applied to anyone who claims that it gives you a message from God. Recently, various prophecies increasingly example, the Mayans, Nostradamus, Sybil, or the Web Boot Vanga and many others. Something is completed, some not, but they have one thing in common. They do not test the true Biblical prophet! And in virtually every respect. Only the Bible is the true criterion, whether the prophecy comes from God or from an old enemy Lucifer. He also has the power to give people the prophecy, and to some extent, some of them filled, it is a very powerful enemy, and because little time has been stepping up their efforts. Amos 3,7 - Yes! Lord does not nothing, but shares his secrets to his servants the prophets. Before every major event in world history, God has always tried to wake people up and prepare them for this event, he sent his prophet. For example, the Flood - Noah warned the people, the first coming of Jesus Christ - John the Baptist prepared people. It does this mean that God sends a messenger before the second coming of Jesus Christ, as John the Baptist was sent before his first arrival? Definitely yes! It is logical and in line with God's action. Revelation 12, 17 shows that God does. They keep the commandments of God and have the testimony of Jesus! Revelation 19,9-10 - (explains what is Jesus' testimony) - then I fell at his feet, I worship him, but he told me: "Beware, do not! I am a servant of God, as you and your brothers who have the testimony of Jesus. Worship God! "After the testimony of Jesus is the spirit of prophecy. This text clearly describes Jesus as a testimony to the spirit of prophecy - so it is testimony that Jesus sends his people through the Spirit of prophecy. Revelation 22.9 - He did, however, said: "Beware, do not! I am a servant of God, as well as you and your brothers the prophets and as those who keep the words of this book. Worship God. " Notice the similarity with the Revelation verse 19.10, which clearly indicates that the spirit of prophecy is the presence of a prophet or prophets in this community. That means the community of faith at the end of time will be marked by obedience to God, the observance of his commandments, which are written in Exodus 20:1-17 (note that other than that the Church preserves) and the property sent to the spirit of prophecy "of Jesus testimony. Yes, the Bible says that the gift of prophecy - the spirit of prophecy, as described in the Book of Revelation - God will work in the community of believers at the end of time. A woman who meets the test of biblical prophet called Ellen Gould White (year 1827-1915). From the age of 17 years until his death, received from God about 2000 vision. Her books have most influenced the way the world thought. Is talking about many topics, such as education, health, prophecy, nutrition, culture and the question of the origin of life. It has become a tool for the creation of a community that is now known under the name "Seventh-day Adventist Church." Its consistent message was that only the Bible is the only rule of faith and the Christian life. She herself describes her writings as "lesser light" shining toward the "greater light". Her light has been given so that readers pointed to Jesus Christ and his eternal word of the Bible. 1 The accuracy of predictions. Ellen White's writings also contain prophetic predictions. Some of them are filled, others to meet their still waiting. Those that we can consider is filled with remarkable accuracy. 2nd Consent to Scripture. Her literary work includes extensive tens of biblical texts, which are often accompanied by a detailed explanation. Careful study showed that her writings are consistent, accurate and in full accord with Scripture. 3 Recognition of Christ's incarnation. Ellen G. White wrote a lot about Christ's life - for his role as Lord and Savior, the atoning sacrifice on the cross, his present intercessory service, these are the themes that prevail in her writings. Her book Desire of Ages is considered one of the most spiritual books ever written on Christ's life. Book Journey to Christ, who is the most common book, has led millions of people to a deeper relationship with Christ. 4 The influence of her services. For more than a century has passed since Ellen White received the gift of prophecy. The church and the lives of those who heed its advice, show what a positive influence was her life and message. Her literary work includes more than 80 books, 200 tracts and pamphlets and 4600 journal articles. Writings E.G. White not replace the Bible or can not be equated with Scripture. 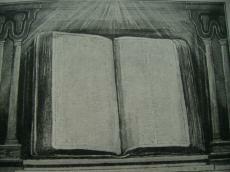 Only the Bible is a unique measure, which must be considered her writings and other literature, which must be obeyed. Her writings are a guide Bibles, a counselor in understanding the Bible, counselor for the application of Biblical principles. The only thing you can do is that we give you an invitation to examine, test, research in the writings of pious women Gould Ellen G. White and compare with the Bible - God's word. Chronicles 20.20 - Believe the Lord your God, and will stand. Believe his prophets, and succeed! " AmazingHope.net - Test true prophet - How do we know the true from the false prophet?